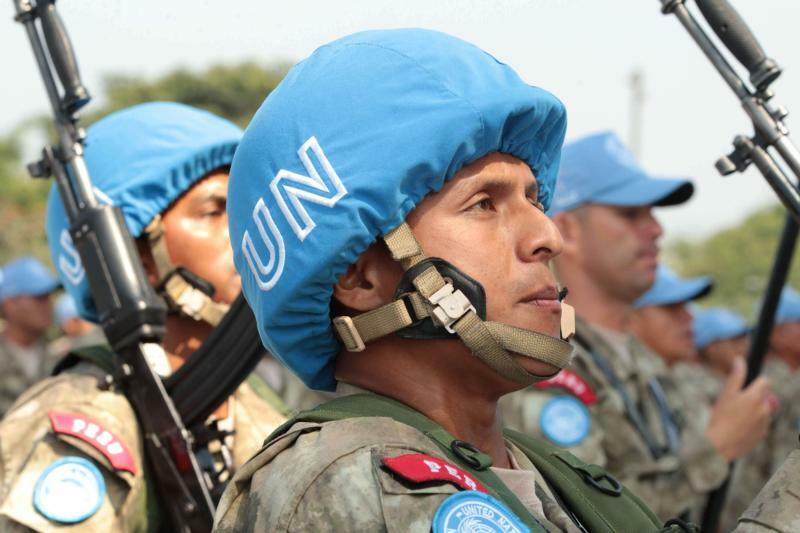 OXFORD, England (CNS) — Catholic leaders in the Central African Republic welcomed the strengthening of U.N. peacekeeping operations, but also said the U.N. should lift an arms embargo so government forces can defend themselves. “Some of the peacekeeping contingent has lacked equipment and been hindered by bureaucracy, so this reinforcement is an important step,” said Bishop Nestor-Desire Nongo-Aziagbia of Bossangoa, vice president of the nation’s bishops’ conference. “Armed groups are going around our country, killing and maiming people. Unless concrete action is taken to disarm and resist them, nothing can be achieved,” he told Catholic News Service Oct. 30. U.N. Secretary-General Antonio Guterres visited the Central African Republic in late October and met with Muslim and Christian religious leaders. Bishop Nongo-Aziagbia told CNS the secretary-general had promised tougher action on U.N. resolutions and a more effective role for its 12,500-member military mission, MINUSCA, which is to be increased by 900 troops when its mandate is renewed Nov. 15. U.N. officials announced a new humanitarian program this summer amid worsening violence in Central Africa Republic, one of the world’s poorest countries. The conflict is mainly between armed remnants of Seleka, a Muslim-dominated rebel movement that briefly seized power in 2013, and a mainly Christian militia, Anti-Balaka. Agence France-Presse reported Oct. 28 that 13 of 16 prefectures in the country are still controlled by armed gangs, despite the presence of U.N. peacekeepers. The U.N. arms embargo, renewed yearly since its implementation in 2013, bans all supplies of arms and related material to the country except to government security forces, if approved in advance by the relevant U.N. Sanctions Committee. Bishop Nongo-Aziagbia told CNS religious leaders remained ready to back MINUSCA in efforts to restore peace and stability, but added that the mission’s mandate required it to support the Central African Republic’s armed forces, which would be unable to function unless the 2013 embargo were lifted.